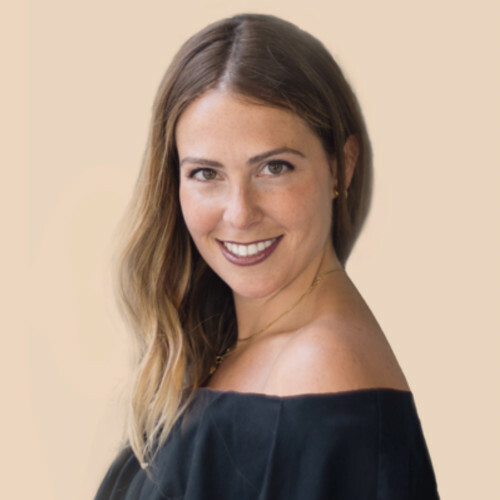 Hailey Friedman is currently Head of Marketing at Improvado, a tool that helps marketers automatically collect all their data into one place. Before falling in love with growth marketing, Hailey was an English teacher in the Bronx for Teach for America. On her nights and weekends, she launched a mobile app startup, and was invited to pitch at SXSW. Her experience with entrepreneurship sparked a journey to answer one simple question, “How do you get someone to buy something?”. Since then, Hailey has worked with startups around the world, and writes about many of the lessons learned going from novice to sophisticated marketer on her blog Growth Marketing Pro. Hey Hailey. Thanks so much for joining me today on the SaaS Breakthrough podcast, I'm really thrilled to have you here to go through this full interview, but I want to start before we jump in, I know we have a lot to talk about. How are you doing today? Doing great. Thanks for having me, David. I'm excited. Yeah, I'm really excited too, when we got in touch I was like, oh yeah, absolutely we have to have you guys on. I know you do a lot with webinars too, we'll get into later in this interview, but I guess for our listeners, why don't you give us a brief background on Improvado, when it was founded, who the customers are and what you guys are doing uniquely in the market place? For sure. So Improvado is a tool that helps marketers aggregate all of their marketing data into one place. So we founded about three years ago and we're based here in San Francisco. The company has grown tremendously since I've joined and yeah, we work with a lot of brands and agencies and just help them get organized with their marketing data. Data is such an interesting thing. We had a couple of people here who had dashboards and stuff like that. Is there a unique angle that you guys bring to this marketplace? I think for us marketers, things have gotten pretty complicated with all the different platforms and technologies that have come about in the last five years or so, and so it's great because we get to run all these different marketing campaigns and get all these different types of impressions and eyeballs and segmentation, but the challenge is really become that this data now lives on all these separate platforms and so there's not really one place where you can go to get a bird's eye view at how all of your marketing campaigns are doing at one time and in real time. And so in order to get that kind of information, we're all out here on our marketing team spending a lot of manual and tedious time putting that data together. I can tell you a little bit more about how I used to do that. But, so Improvado solves that problem and automates it all for you. So when I learned about the company myself, I was super excited because it was solving pretty much the biggest pain point that I'd ever had as a marketer. It is such a big pain point. Thinking about the days I spent going through spreadsheets after spreadsheets, just trying to find little pieces of data and just like, I guess understand what it even means. I guess we'll talk a little bit more about how we make processes of data. That's a big piece of today's conversation. But before we do that, I guess let's stay in the kind of the early stages of your journey there at Improvado. When did you join the team (inaudible) three years ago they were made and when you joined, what was the company ARR or customer size at that time? So I joined eight or nine months ago. And the company was about 600k ARR now we are 1.2 million. Si doubled in size in pretty short time. And the reason I joined Improvado was I was back at a company called Realtyshares and I was doing growth and product marketing over there. And when I joined that team, one of the, one of the things assigned to me was to gather all the data and lead the weekly marketing meeting with our CEO. And so in order to do that, you know, I'd sit there at this meeting with our CEO and he would just rapid fire questions about all of our marketing data and in order to feel really confident about my responses to him, I had to really wrap my head around the data really well and so would take probably two days out of my week just prepping for that meeting, logging into all the different platforms and pulling the data together, uploading it into Excel, creating dashboards in Excel and creating formulas so that I can get all the data in one place. And so, you know, it really blew my mind how much time it took to get a really good understanding and that's just to pull the data together. Then you have to take the time to actually pull insights from that data. And it probably took me like 20 hours or more a week to just to wrangle the data, not to even bother doing all the other things my job required. Right. Like growth marketing. That's 50 percent of your week just in data collection. Yeah, it's wild. And so, when I decided I was gonna leave Realtyshares I was really, I was looking for my next role and I didn't just want like any other job, I was really focused on, on working for a company that was helping marketers. And the reason for that is I have a blog called growthmarketing.com. Spend a lot of my time writing about my marketing tactics there. Things that have worked well for me. Things that happen. And so I had this audience of marketing people through my blog. And then I also, I host events here in San Francisco, for a meetup group called Badass Marketers and Founders. So I'm the president of that group. It's about 20,000 people globally, but it's about 5,000 people here in San Francisco. And so between this group, this meetup group and my blog, I'm always talking to marketers. And so I wanted to kind of align my life and have my day job focused on a marketing tool that was helping marketers. And that's how I found out about Improvado. That's amazing. Obviously you have, you've got to have some real passion, your passion and your side business and your networks and everything like that. So congratulations for finding something you love doing that you do it all day long. I love to hear that. Sounds like an incredible growth journey as well, doubling the ARR size in eight months. That's incredible. Congratulations to you guys to get into that 1.2 million ARR mark. That's exciting. But when you're coming into the company at 600k was there other marketers involved yet? Was there, was there a flywheel going, what did it looked like when you joined? Did you have to get some, some marketing initiatives going? Were you the first marketer in there? What did that look like? Absolutely nothing. There was nothing in place. And so, there was maybe a little inbound. So the team itself was actually a marketing agency first before they pivoted, pivoted, and built this SaaS product, which is this tool that helps marketers collect other data. So they were an agency and they were helping all of these clients and the clients were like, you know, the work you're doing for us is great, but this data tool you've built for us that we've been using, so this, this is amazing and we would pay for this alone. And so they pivoted and they kind of took this product that they had built for their clients while they were an agency and turned it into what is now Improvado, which is this reporting tool that helps everyone get like a bird's eye view at all of their marketing campaigns and their performance data and spend data but also like dive really granularly into any campaign or any ad or any creative copy on any of their campaigns. So, it's kind of cool how that evolved. That's amazing. So when you're coming in, you have I guess that target persona, which was the customers that they had already, do you have to create a new customer persona of who you're going after? Or are you already set up with like we already have the baseline based on the customers that this agency already had? Did that slowly start evolving as you built up the platform? It's interesting how the customer persona evolves as yeah, their knowledge as a marketer, I think initially a lot of, a lot of our clients were agencies and still are. A lot of our clients are agencies. We also work with a lot of big brands like ecommerce brands. However, I think we're moving towards a more enterprise, C level target customer persona. I think like at the end of the day, a lot of times that's where, that's where the buying decision happens. And then for us, you know, we're targeting marketers and the CMOs essentially, but a lot of the times very quickly after talking to a CMO, the analytics team is looped in and so targeting C level analytics people as well. Makes a lot of sense. Do you have to shift a lot of your marketing? Obviously going from agencies and you may have a, your product built for agencies, but shifting from those agencies, they're the bigger, like CMO based teams where going through a gatekeeper first and then you're going into the analytics team. Does that change how that marketing is done? Absolutely. Changes the conversations that our sales teams are having, the kind of like the metrics and the key problem points that they're focused on. It's a little, it becomes a little less about like the features of our product and more about helping them achieve the high level goals that they're trying to achieve and like make ROI. Have you guys started to attracted more C level enterprise level customers there? Yeah, I mean we're definitely targeting them and having super interesting conversations. Any specific initiatives that have been working to get those higher end customers? I just find it so interesting. As you know, you kind of evolve and you pivot, you have to kind of learn it all from scratch in this whole new customer base. Anything that stood out to you so far as far as like attracting those people and figuring out how to have those right conversations? Yes. So one tactic that I learned a while back back when I was at Realtyshares, it was this tactic that helped me grow our affiliate program while we were over there. And since I just uncovered this tactic, it's actually been featured in dozens of blog posts, books, podcasts, and I've reused the same tactic over and over again, back at Realtyshares, on my blog here at Improvado and it works every time. It's pretty fascinating, but I think at the end of the day it comes to building relationships. And, I can tell you the story of how I uncovered this growth tactic? Yes let's hear it, I would love to hear it. Yeah. So, before I moved to San Francisco, I was living in New York and, I moved, moved out to San Francisco, joined Realtyshares, and one of the first projects that was put on my plate was to build an affiliate program. And, you know, I had no idea what an affiliate program even was at that point. But I quickly learned that it's a program where you partner with influencers or people who have a big online audience and you essentially give them a link to your product. And for anyone who clicks on their link and signs up for your product, you pay them an agreed upon fee. Right. So, in order to start growing our affiliate program at Realtyshares, I wanted to connect with influencers who were in the real estate investing space because Realtyshares is a platform for investing in real estate. And so the first thing I did was I went online and I did a bunch of research and I tried, I Googled around, I use Buzzsumo, I tried to find people with the biggest following and who are bloggers in the real estate and investing space. I put together a big list and I emailed that list and I said, hey, I just want to let you know about our referral program. I saw, our affiliate program, I see that you're doing blogging on x, y, and Z. I think you'd be a great fit. You know, we pay all of our affiliates $100 for every lead they send our way. Are you interested in learning more? And I probably sent that email to about 60 different bloggers and influencers. I only got 12 responses back and there were all no's, right? Not Interested at all. So I went back to my boss. I was like, you know, I don't think this is working. I think we should probably focus on other channels. This whole affiliate thing isn't going to work. And then as time went on at Realtyshares, I started to pick up some, some side hustles as I always have one at least one going. And I had actually, before I had moved to San Francisco, I was working on an app called top five city guide and I'd interviewed over 300 people and ask them about their number one favorite restaurant in all these different categories. Like what's your number one favorite pizza place in New York City? What's your favorite place for a beagle? What's your favorite place for ice cream? I was working on an app that had kind of fallen to the wayside, but in the meantime I realized I had all this marketing, all this data about people's favorite restaurants. Now it's like, I don't know how to build an app, but I know how to build a Wordpress site. So I took all this data and I started pumping out blog posts about like the top five places to get pizza in New York, top five places to get Sushi in New York. And every time I posted a blog post I would tag one of the, I would tag all the restaurants that I mentioned in the blog post. And to my surprise what happened was that everyone, almost 60 percent of the people that I tagged would retweet the tweet. They were honored to be featured on my list, like huge restaurants and brands. We're honored to be featured on my little blog, this little blog that no one had even known about. And I was pretty blown away by the response and it was at that point that I realized that people love being recognized and like at the end of the day, even if it's a giant brand, you know, people not only do they love being recognized, it's actually, you know, a human need on the Maslow's hierarchy of human needs. Recognition is one that's pretty high up there. And people don't get recognized nearly as often as you think. Even if they're a C level executive, even if they work for a giant brand, even brands themselves don't get recognized as often as you would think. So I took this concept back with me to Realtyshares and we, I took this concept and I ran with it and what I did was I created a bunch of blog posts that listed the top 75 real estate investing bloggers, the top 50 personal finance bloggers, and I pumped out these blog posts and every time I've released a blog post, I emailed all the people I mentioned in it and I said, you know, the subject line was Hey gave you some love on our blog. And in the inside the email I said, you know, hey, congrats on what you're doing on this blog. We really love it. Recently put together this list of the top 50 real estate investing bloggers. You made it to the top of our list. Congrats. Feel free to share this with your audience. Let me know if I missed anyone that I should add. Thanks Hailey. Right? So I send out this email to many of the same people I emailed the first time and a wave of inbounds, people are super honored and really excited to be featured. Thank you. Thank you so much. This is awesome. And you know, I replied to the thank you email and said you're welcome. Like, yeah, there's so many great bloggers out there. You know, by the way I work at Realtyshares and we're growing our affiliate program. You know we pay our affiliates $100 per lead that signs up on our website. Our best affiliates are making x, y, z. would you be interested in learning more? And the same people who snubbed me the first time, we're like, wow, yeah, you know, I've heard of Realtyshares, I'd definitely be interested in learning more. And so with that tactic, I think we ended up over the 375 people that I had bloggers I had reached out to, I think 18 percent of them ended up signing up for our affiliate program. And that's ultimately ended up being like the secret weapon to how we grew Realtyshares from 2 million to 14 M ARR in 2 years. It's so interesting the power of psychology there, just being able to give them some leverage point for them to feel validated,special, recognized like you said, open the door was an easy way for them to see who you were, feel recognized and then when you went back to that relationship looked so much easier. Now totally, you know, this thing we're on right now. We've kind of done something similar in strategy with the podcast too, you know, where it's like a value first and then from this we get a ton of great content for everybody. But we also get to utilize some of this content that we can break down into a post, you know, Hailey's top 10 tactics to grow a SaaS and then that can be a post and we tag you in it and then you can go share it. And that's just another way to, again, like you said, leverage that content or leverage that influence without having to, I guess overstepped the boundaries of a pre-premade relationship by just going straight to a sale basically with an influencer, you know, promote my stuff, do that kind of stuff. So that's crazy. That's a really great tactic. And I mean it's amazing results. You said 2 million to 14? That's incredible. Yeah, that's awesome. So, so that's kind of what's next in the pipeline for you guys right now with your program? Yeah, taking that tactic and thinking about how you can apply it across the board it pretty much works for any business or any industry. We just finished our, we worked in conjunction with my blog actually growthmarketingpro.com and we just finished our 2019 data driven marketing awards, data driven CMO awards. So we actually got on the phone with over 100 CMOs at fortune 500 companies and spoke to them about their data, their marketing data process. And we learned a ton from like super sophisticated marketing individuals. And we just published this list of the top data driven CMOs, right? And so that gave us an opportunity to build, start building relationships with C level executives that were doing incredible things with data and recognize them at the same time. Fantastic. And I'm totally stealing that, we're definitely doing SaaS marketing awards and you'll get, you know you'll get a participation ward for just giving us the idea here. We're talking about data, I mean, what do you guys do to handle an overload of data? You guys are putting these dashboards together but you as a marketer when you're looking at a campaign like this, you're looking at a hundred C level, you open these conversations, like how do you organize data and optimize it in a way that it doesn't overwhelm you because I'm either in the point of view where I'm like, hey, we need more data to make a better decision. Or I'm like, what do we do with all of this data? This is way too much to even understand. Do you guys have advice on how to handle that process of optimizing your processes for smart data decisions? Yes so when I come in Improvado, was our first marketer here and so our data, even though we're a data marketing company, there was no market there, so I had to pull our data together. Right. And so, you know, one of the first things that I do is I put together an Excel marketing dashboard with I have a bunch of different tabs. I've actually created a template that I'd be happy to share with your listeners after this call or they can visit Improvado.io/podcast and download the marketing dashboard themselves. But, essentially I use this to organize all of my data across all my channels on a daily, weekly, monthly, annual basis. I also use this dashboard to figure out what my goal should be month over month given what the sales team's quotas of a quarter. So, so making sure that I have it all organized in a spreadsheet of some kind and obviously that's still super manual, so not ideal long term, but a really important place to start. Another important place to start is making sure that you are adding utms to every link in all of your marketing efforts, in paid marketing efforts, in your blog posts, in all of your ads and emails, like making sure that you have an utm structure and in place so that you can stay organized later on when it comes to tracking and making sure you have the tools that you need in order to make sure you're getting all the data in. Right. You can see your website data on Google analytics, but you can't see any data about like individual visitors to your website and the actions they take. So you might need a tool like Mixpanel or Heat analytics to see by email what people are doing and then, and then once you have all that data, you might decide, hey, I don't want to work on this manually every week for 20 hours. So at that point you might be ready for a tool like improvado that would pull that data altogether for you into one dashboard or send it to like a visualization tool like Tableau or Looker, Improvado can collect the data and send it to your visualization tool as well. That makes a lot of sense. What you're saying is make sure you have the right structure in place, knowing what metrics to get, have the systems to do it and then make sure that your processes are in place to kind of scale that up. But that makes a lot of sense and I think the hardest part is just like figuring out like what, what are those numbers that I want? I think that's something that's always changing. Kind of always changing the KPIs as you get to the experiments. Any specific ones that you recommend? Such a broad question. I guess it depends on your initiatives and stuff like that, but any specific KPIs you are continuing to your eyes on? I think important metrics just like, I like to call your of course cost right? Your cost per acquisition, whatever that may be, but I like to follow the allowable cost per acquisition essentially like your break even. What are you allowed to spend per channel on an acquisition, right? Because your overall cost per acquisition on average is one thing, but looking, making sure you're looking channel by channel and understanding like what exactly is the ROI? What am I allowed to spend to acquire a lead from specific channels? How do you aim for that, that spent? Are you doing like fifty percent of your LTV. Where do you make an assessment? You would look at a channel, say Facebook ads and you would look at the amount of money that you spent on Facebook ads and then you'd look at the number of acquisitions that you got out of there and then you'd look at the number of revenue. Right? And so you take the revenue and divided by the number of acquisitions you got on that channel. Right? And then you have your allowable break even cost per acquisition and if you're acquiring leads, acquiring people for more than that, then you're losing money and if you're requiring people for less than that then you're making money. I guess my deeper question there is once I get into your app, are you able to track them by that channel and source and so you know that hey the 10 sales that I made from Facebook ads, well, they actually only last for three months, so my LTV on my Facebook customers is actually only for instance $100. So my LTV is much lower for Facebook ads. Is that something that you're doing or is it just kind of doing a generic lifetime value of your average customer value? Definitely doing a channel by channel at a granular level. And what are you using to do that? So you can use Improvado to track all these things and you could add custom metrics inside the app or within, you know, your spreadsheet if that's how you're tracking things. Got It. So I want to move on to one other initiatives I know you are really big on, and you mentioned a couple of times in your blog, but that's webinars and now I won't judge you for your affiliate links all over your Growthmarketingpro blog which is to our competitor, but it's okay. We won't judge you. But I know you're a huge fan of webinars, you're doing it over there at Improvado. Is a big initiative for you guys, but what's been your strategy so far? Any insights from running them yourself? I've seen huge success with webinars. I think it's a really special thing in that much the same way podcasts are but you, you just get the one on one intimate attention of a listener for 45 plus minutes and that's just something that you cannot accomplish anywhere else. So I found it to be incredibly helpful for bigger like selling a larger ticket item, like a SaaS tool, right? Because really what you need is a sales conversation to sell a tool like that and having a webinar allows you to incorporate the storytelling and learning and like personal connection that I think is involved in that sale. From a tactical perspective, any set ups or specific strategies you found while running the webinar you want to point out? I think just giving value if you can be super tactical, provide value, offer like a piece of gated content, something like a downloadable tool if they stay on untill the end. Yeah. I think like having, sending people from Webinar to go download something is, is a great way to stay engaged and also have people feel like they're really getting value. That's awesome. So you're saying maybe I misunderstood, but you're saying like during the webinars, send them to this gated piece of lead gen, or are you saying that's like the call to action at the end of the Webinar? Either way. It's a great way to have people feel like they walked away with a golden nugget. I think you can use it as a tool to keep them on the Webinar for longer by saying if you stay till the end and you'll get access to this link where they can download this tool. I think that's one way, or just giving it to them during the Webinar I think it's just if it goes along with the content you're teaching in the Webinar and it's relevant. Makes a ton of sense. Yeah. No, I love that. So just a couple more questions for you before we wrap up, but as as you look back over the past eight months, any major roadblocks you faced in marketing as you've been building, department building this amazing growth engine that you've created, roadblocks or hard lessons you've learned along the way that you'd want to share? Well, just making sure that you're tracking everything correctly. Making sure your tracking tags are in place and that I think there's, always issues arise with Salesforce not linking to Calendly and just like tags being moved by engineering and so maybe just like having a Q&A in process in place to make sure that all of your tracking is always, working properly. Do you guys have a data engineer or is it marketing dealing with that stuff? Yeah, we have a number of engineers to call upon for help, but we don't have a dedicated marketing engineer which would be the dream. It's always such a frustration trying to get everything linked together and stuff like that, which is also why at Demio we're working hard to make like such an easy application to integrate with all these different things, cause you want just things to work together so well in your marketing toolkit, but definitely agree go through, make sure everything's going through the right process, the right channels. Because at the end of the day if the data doesn't help you make the right decisions is because you're not getting the right data (inaudible). Totally, I think a lot of marketing teams do rely heavily on engineers to kind of bring the data together for them. Which is also why we built Improvado so that marketers can just like sink into all their different marketing channels by themselves without asking for help from engineers and gather all the data into one place (inaudible) it's a bottleneck for marketers as well. Like they don't want to have to rely on engineers to do their work. I totally agree. That's awesome. So here we are at the beginning of 2019. Looking forward into this year, you're probably excited after such a great end of last year and you're growing so well. Do you see any challenges or opportunities ahead of you guys, may be in a marketing point of view? Yeah, in terms of 2019 and trends that I'm seeing in general, I think this data conversation we're having here is so relevant, I think having all of your data be automated and clean is going to become the new standard pretty soon. So right now we're all in like a haze of figuring it out, but soon it will be like the norm that your data is automated and clean and so looking forward to that day and to helping everyone get there. And then yeah, in terms of us internally, I think this within this data challenge that there is, I think people are confused. I think they kind of understand part of the picture but not all of it. And so part of what I want to do here at Improvado is create the content, help people better understand like all the moving pieces that are involved and so content marketing is going to be a big focus for us. I love that. We're doubling down on content this year too. It's a critical piece and like you said for something that has a technical nature to it like analytics. I think for a lot of people hearing analytics is (inaudible). But at the end of the day, if you can get an easy solution to getting that data, you can really make smart choices and that's ultimately what you want from analytics. What do I need to do? Help me make informed decisions. And for me, I know just like there is overwhelmed, the per channel analytics you know, building utms and trying to track it all through. It's, it's still overwhelming even if you're technical. So I'm excited for you guys. I'm excited to see how you continue to push forward into the data driven marketer era, which is really where we are. But what I want to do before you go is I want to wrap up with our lightning round questions. Just five quick questions you can answer with the first thought that comes to mind. Really fun. You want to get started? All right. Let's do this. Alright. What advice would you give for early stage SaaS companies starting marketing today? Look for channels where you have the highest intent. Like make sure you're really starting with the lowest hanging fruit. I talk about that on my blog GrowthMarketingPro and we actually just built a whole product around this idea which is the Custom Growth Playbook. We're helping founders and entrepreneurs figure out what are the five lowest hanging fruit marketing channels where I need to focus in order to get customers for my business. Because I think a lot of people are reading blogs and listening to podcasts and are getting a lot of advice and they're getting overwhelmed with the information and so you really have to weight. It's, we call it weighted growth hacking. And so you really have to weigh out your customers, your business, your resources, and your timeline against each of the channels and their costs, their impact, their speed to implement, their ease of implementation and things like that. It's that almost like an s-score? Yeah, we've kind of created to help make sure that we're focusing on the lowest hanging fruit at all times. But I can send you a webinar where I link to a webinar where I talk more about how you do that. Love it. We'll definitely put that in our show notes and resources as well. What skill do you think is vital for marketing teams to improve and build on today? Just automation, I guess. So just making sure that you're not spending a lot of your time on tedious things that can be automated and that spans all the way from data to like email marketing, using tools like Zapier just to make sure that everything is linked and automated. Best educational resource you'd recommend for learning about marketing or growth? And we already have your blog, what else? My favorite is Neil Patel, always. He is an animal, is awesome. And what about a favorite tool you can't live without? We're big fans of Instapage. So we use it to make all of our landing pages quick and easy. It's a great tool. And Improvado of course. Absolutely, you've got to plug your own. What about a brand, business or a team that you admire today? You've already said Instapage which is awesome but you've got to choose another one? Actually, there's a couple of folks I really appreciated recently. One is called Proof. Love those guys, Proof too. Yeah, they're awesome. And the other one is Drift. Drift is amazing. We've had them on the podcast. If you guys haven't heard that episode, definitely go back, listen to it, but you have two amazing brands, really, really exciting brands, good, good customers and everything like that. But we're really appreciate your time today Hailey. I appreciate you coming on and sharing both the tactical and the strategy perspective. Obviously we'll give you some love to your blog as well, which I know you write about a ton of these different tactics, so on Growthmarketingpro.com guys, you can go learn more about what Hailey is doing and some of the tests and experiments you're doing in Improvado. So I really appreciate your time. Thanks for coming on. Thanks for being so transparent and honest and wish you a great day ahead. Thank you so much David. It's great chatting with you. Great chatting and I'll talk to you soon.